I’m amazed! It’s now 2013, but the majority of eBay sellers still can’t get this right – create a listing that really SELLS! And I’m not talking about fancy templates here – no, basic, common sense guidelines that everyone should be following. But they’re not! If you have done any research on eBay you’ll find loads of unprofessional listings. Listings without product pictures in them. Listings with crazy font styles and sizes. Listings with no product descriptions. And so on. I can understand that an individual who just wants to sell off his used iPhone doesn’t have a clue about how to create a good looking listing, BUT when business sellers who have hundreds of listings can’t put together a half decent listing, that’s beyond my imagination. Why? Because they’re leavings tons of money on the table by doing this! Or should I say – by NOT doing this! So here’s the deal – in this blog post I have put together basic guidelines which ANYONE can follow to create good listings. You don’t need any designer skills – that’s not the idea here (anyone can hire a designer for a custom made template and formatting, that’s a whole other story) – in this post I want to show you how you can make good looking listings using basic, free tools. Without further ado, let’s get started! You need a template, there’s no way around it. Without a template it’s really hard to create a good looking layout. You can still do it without a template, BUT I strongly recommend getting one. Yes, even the free ones will do. On the internet you can find dozens, even hundreds of free eBay listing templates – just do a Google search for “free eBay template”. Listings tools such as Auctiva will have built-in templates. Even eBay offers you the use of their templates, at an additional cost though. My very own SpicyAuctionTemplates.com is a good starting point – you can get 10 free templates there, or get access to all 750 templates for less than 30 quid. To sum it up – you need a template, no matter what! Be it a free one, paid or custom made – an eBay listing template is the core of this concept and will make your life so much easier. Now, once you have a template, you have to figure out HOW to make text, pictures, videos, bullet points and sub-headlines look GOOD inside it! There’s no point in using a template if you still make the same mistakes. The key to success here is knowing what elements to use where and how to format them properly. With most templates you’ll have some sort of header area which you should customize. You simply get the header image file and edit it with photo editing software, such as Photoshop, Gimp or even with free online tools such as Pixlr.com. 1) On the left side, add your company’s logo. If you don’t have one, get one ASAP. If you’re on a small budget, even a logo from Fiverr.com for $5 will be better than nothing. If you can afford to invest more, get your logo done by professionals on eLance.com. You NEED a logo, period. Even if you use a free template, by adding your logo you make it look unique. 2) On the right side, add your contact details. Email is a must and ideally you want to include a phone number too. First of all, a phone number instantly increases your credibility. Secondly, there are still customers out there who prefer to make a phone call prior to ordering. So, if you’re not using a phone number for support you’re probably missing out on extra sales. If you’re at home or at an office all day use a landline number. If not, use a mobile number. If neither suits you, check out Skype Online Numbers – for a fixed yearly fee you get a phone number that looks just like an ordinary landline number along with voice mail and other features. You can access these Skype Numbers from your PC, laptop, iPad or even a smart phone. 3) If you have any special message you want to feature, place it in the header area, too. It could be a slogan, USP, special message – say you offer FREE Next Day Delivery within the UK for all items! Or you can feature your seller status, like “N°.1 eBay Seller for X Widgets” or guarantee terms, like “30-Day No Hassle Guarantee on All Items!”. In a word, if you have a strong marketing message that makes your business look good, use the header area to promote it. Your main, best product image should go right under the headline! If you have several images, use one that shows the product in full overview, not a detailed photo. After the first image, you should add the product description. I won’t go into details on how to write a good product description here (that’s another worthy post), but whatever you do, make sure you have a product description in the first place! Don’t leave your customers wondering about the item – how big or small it is, what condition it’s in, what colour it is or what features it has. Ideally, you should write a 200-300 word unique product description for each of your eBay listings. Break up text into small, 2-3 sentence paragraphs. Use the bold function to highlight the most important key phrases in the description. All I did here was I found a good icon, 5px x 5px in size, uploaded it to my hosting account and inserted the image in front of each line of text. This is EASY, anyone can do this with a little bit of practice. It’s a small thing but it makes a huge difference to how a description looks overall. If the product description for a particular item is very long (300+ words), split it up into blocks and separate them by using sub-headlines. Having one product image in the listing is good, but IDEALLY you want to include an additional 2-4 images, especially if you’re selling an item that requires more attention and more detailed images. Buyers LOVE close-up pictures! Be it a handbag or an MP4 player, people want to see the detail and the best way to give them this is by using additional pictures – different angles, close-ups! This is not mandatory, BUT if you sell similar items it’s a good idea to feature them at the end of a description block. It can be as simple as product images with some text, “Click here”, or ideally you want to include pricing too and some key features. The idea here is that people who are looking at your current listing could also be interested in similar items, if you have them. Maybe they like the item in the listing but are looking for a different colour? Or a slightly different model? So, if you have related items, advertise them directly in your listings using simple product images/banners. Simply describe what payment options you accept. If you’re not using the “Immediate Payment Required” feature on BIN listings, this is a good place to state that payments must be made within X days of purchase. Describe in detail what shipping method will be used to ship this particular item and show the costs. Yes, even though shipping costs are clearly displayed in a listing’s info block at the very top of the page, you still want to include them here. Just to be safe, as people could overlook them under the gallery image. If you offer FREE shipping that’s even better, but still write it down in this block. Your item will be carefully packed and dispatched within 24 hours (Mon.-Fri.) of receiving payment. Most items will be posted out the same day if payment is received before 4 pm. We use Royal Mail 1st class delivery for all shipments. Obviously, this is where you put the details about your returns policy. By eBay rules, all business sellers have to accept returns for a minimum of 14 days. You can of course extend this period. But usually 14 days is a good time frame. You also want to write down clearly in what condition and how items should be returned and who pays the shipping costs. If you are not happy with your item please return in the original packaging and with all tags attached within 14 days. Goods must be returned carriage paid. Refund of purchase price will be refunded by the same method as the payment was made. Postage and packaging will not be refunded. That’s it – Anatomy of a Perfect eBay Listing! I hope you agree that there’s nothing complicated here, in fact it’s basic stuff EVERYONE can and should do. The good news is that once you have created one such listing, you just copy it and use it for other items – simply change the images, descriptions and headlines, but keep the rest of the listing/formatting the same. Lastly – when I mention that you can use Arial OR Verdana and 10pt OR 12pt text size – I mean that you pick one and use it throughout the listing! DO NOT change font styles within one listing; that simply doesn’t look professional. Don’t use fancy font styles as they won’t do you any good. Same goes for colours – stick with black for description and use dark red occasionally for headlines and sub-headlines. You can do this, trust me! Just get that one listing right and Copy & Paste from there! If you have any questions about specific things/tasks, feel free to post them below this post, in the comments section. I found this article really helpful and not outdated at all. I think it’s a good guide to making a listing look professional and I think it’s really good. You have given me lots if ideas. Thank you. Yes, it was published on February 7, 2013. I have hundreds of posts in archive and I don’t update them in general, with some exceptions. Can you change the fonts in your designs? For example can I use web fonts if wanted. Not sure if Ebay allows that with the new rules. Thanks. There are few standard fonts you can set on eBay (Verdana, Arial etc.). If you need something more interesting, I think you need to use external CSS. At least that’s what we do. Hi Andrew, I’m glad I found your blog. Can I ask if it’s possible on the technical side to use multiple listing/repricing software? Sorry, what you mean by that? Ebay no longer allows contact details to be included in listings. Do you know of any way around this? Solution is to simply not include those contact details in listing, that’s it. At the end of the listing eBay does publish your contact details anyways. It depends on whatever the product is in demand and whatever your price is competitive enough? Also, if you have just 3 feedbacks, people may have trust issues with you so what you should do is buy 10-20 cheap items just to get your feedback score to 10-15+ mark. I hope you are well and doing great. There is only 24 hrs in a day how do you divide up your time sir? Don’t get me wrong your content is top notch this why am wondering how do you deal with time management? or rather whats your Anatomy in managing your time daily, weekly etc? Thanks for all this amazing information and detail. I have used you text for a return policy, entered it into the business polices section and saved. When I check a listing I have just created it does not show my text, but shows only 14 days – buyer pays return postage. I was expecting to see my return policy text. This is just an example template I made for this post. Thanks so much for the info, your articles are extremely helpful! I’ve been searching high & low for a clean & simple eBay listing template. I’m on a very tight budget starting up my store, so I’ve looked at lots of the free ones but they’re not at all what I envision for my brand – lots of design clutter & heavy borders, which I’d like to avoid. Any advice on where to find an all white modern clean & simple template? I’m thinking 1px black borders, with left/right format for text & photos would be ideal. And ability to customize the html so I can put my brand images into it, i.e. logo/header. I can customize it but I need something close to start with. Also want it to look good on all devices. Am I asking too much? I’m willing to pay but there doesn’t seem to be anything even close to my design ideas for a reasonable price. Frooition wants $800. I’m thinking more like $50-100 lol. I wouldn’t bug you with this I’m just really pulling my hair out over it after weeks of searching & even trying to do my own from scratch, which wasn’t a success. So I figured I’d ask since you’re so up on these things. Have you checked out my Spicy Auction Templates? Hi Andrew, I have a basic question. I am selling iphone LCD Displays. I have 3 different Qualities to sell (like High Copy, OEM, Original). All these products specifications are same except the quality description and EAN number. Even the Picture will not have much differences. If i list all the three Qualities, are there any ebay policy breaching ? Anyother way i can list all the three…since this category does not Support listing variation. Thanks. I think you should be fine with listing them in separate listings, especially if that category does not allow variations. Great article as ever Andrew. I have one question – if we create HTML for product page – does it automatically appear on all the product pages or do we have to copy paste the code each time we are creating new product? copy/paste code for each product/listing – yes. is it possible to create a good listing using an iPad and is it possible to be a serious eBay seller using the iPad??? Well, technically you can get items listed on eBay using iPad, yes. But if you want to become a professional seller, using a PC/laptop will be MUCH better choice. I am getting my first listing done on eBay. I have designed my own listing as per your guidance. Thank you for the blog. But, I am struggling to paste the images on eBay listing. All the words are easily pasted but the pictures are not. I have pasted the listing under the DETAILS section on eBay. Is this the right place to put it onI? Is there any other link I am have missed to see? 1) Can i change this listing(all title, photos, description, etc) to different product of the same category ? 2) Is this apporach any voilations to ebay policies ? This is a great post, I thought mine were pretty good until I read this post so now going to look for a template. hello Andrew, you mentioned that when starting out selling on a fairly new account, we should only be selling with an auction, but what if we lose money if the product doesnt sell for enough to make profit? is it ok to start the auction at a price that would guarantee profit? Also, what do you mean when you say auction-buy it now? I’m trying to figure out how to put together a design template that incorporates design elements for the different sections of my eBay listing. For example, I’ve seen nice listings that incorporate templates like the one above, but in between the sections the words “Description” “Shipping” “Contact Us” etc were not done in a regular font, but an artistic design. I saw one where each of those subheadings were in a pretty blue cursive with a different color outline, and a flower behind it. How do I do something like that? Since I do not have a company, is it appropriate to make up a fake logo and use it in my template or is that against the law? No, that’s not against the law. You can use a logo without being a registered business. Hi there and thanks so much for being so kind as to share all of this info with me/us! One thing that I get really hung up on is how to sort of catalog all of my photos on my mac, so that I can list things in a timely manner. After I’ve taken photos and then listed these items, should I then go ahead and package them up for shipping (without sealing, of course)?? If so, should I have some sort of numbering system so that I can, let’s say, have a unique number for each item. Then, should a potential bidder ask me a question about my item that would cause me to have to go and pull that item out of the pkg, I’ll know exactly which pkg to open. Then, of course once one of my items has sold, how do I go and find it quickly out of my many pkgs laying around? Really needing some guidance here. Awesome! Going to have a look right now. Also, how much is your video course in US dollars? I’ve discovered your site while searching about how to improve my Ebay sales on Ebay, and frankly so far I found some interesting information following your advises. However, I have a concern about any contact information displayed on my listings though. You advise to list a email address and phone number, so our customers feel more secure to buy from us, as they have a direct way of doing so, and I completely agree with this. The problem is that I did this before, but then got several strikes from Ebay afterward, with my account almost suspended in the process, because according to them it isn’t allowed to display any contact outside the official Ebay messaging system. I think they are afraid that you’re going to do the sale behind their back outside their web site, so they want to monitor VIA their messaging system everything that’s going on between the seller and buyer. So again, are you sure you can do this now ? Did they changed something recently in their policies regarding this ? I am afraid to try listing again my contact info because they were clear last time about me loosing my account if they had to issue another strike. Yes, there’s such a rule in place however, on eBay UK, they’re not really acting on this so most sellers still do this. I see you’re USA based, that’s why probably you have different approach to this over there. Top 5 Turbo Lister Alternatives for MAC Users! Can we do something with this? This is one of those stupid rules 99% of eBay sellers are breaking and it seems that eBay doesn’t care either. I think your Cross Selling idea is very interesting, but how do you use to do, I mean is it some ebay function you can use inside Turbi Lister for it, or some HTML Code, because if I use a selling page for sell a product, but my Cross Selling product doesnt exist anymore, I need some function that can only cross reference product that still exist. There are 3rd party scripts that show related products as banners in scrolling windows. I don’t use them though as they’re not as effective as manual, banner approach. I only use this really for GTC listings – so when I set up a promotion, it runs for months or even years without need of changing banners/links. Once I have edited the Header in the editing software and put in my logo – How do I then get it into the listing? You then have to upload the new header file to your hosting account or say Photobucket and get the link/URL for it. Then in template’s code (HTML), find the header location and change URL to new one. hi Andrew just come across this page. i purchased a easy auction course from you a few years back and i have a membership for your spicy templates site. I was just wondering if you had any template layouts like the one above? i cant seem to find one which has the same sort of lay out. All of our templates basically follow same layout. Maybe you’re confused about the main description block – in SAT templates we have just one image place holder there in BUT that doesn’t mean you can add just one image there, not at all. You can add as many images as you want and create exactly same listing layout as featured in this post. Why do the template images not show up on mobile devices? Using your free template I uploaded all images to photobucket but only show in a desktop computer browser. This is what eBay do on mobile devices – they don’t display ANY templates. Just images and description. To view template in full, you have to click on view full description. We don’t control this, it’s all eBay. Actually, even when viewed in ‘classic’ desktop mode not one of the images hosted on any photobucket acct appear in a listing and I’ve tried 5 mobile browsers. Other seller’s template images appear but I know they are also using css code in them and yours are images that’s why I was wondering if I was linking them the wrong way or the problem is within my phone itself not supporting something. If you have heard of pocket auctions for ebay – same thing, just image placeholders. Man I wish I could remember to remember how to write code like css that would be useful and would be really cool creating site graphics with just using notepad! It’s paint.net for me. Thanks, Andrew! By the way, I was just reading your part on Branding and I know I could pull it off but the cost for supply versus saturation and the fierce sellers both on amz and the bay have too much capital and history! 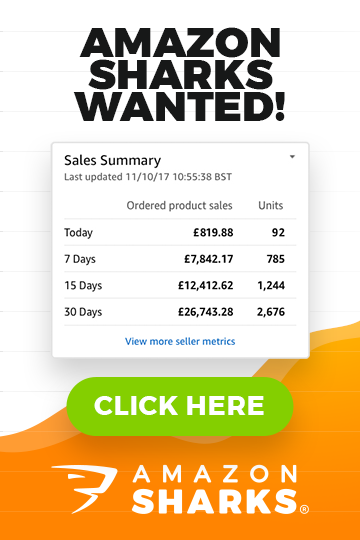 Step by Step Guide to a £100k a Year eBay Business! I know this will seem like a silly question, but how important is it for the logo to represent what you’re selling? I know generally it’s going to give you more credibility, but is how the logo translates to what you’re selling as important, compared to having one and not having one? also, is it advisable to sell one kind of thing or several categories of items? It’s impossible to answer such question as there are soooo many different things that impact your conversion rates… But I believe that YES, if you have a brand name and logo that represents what you sell, this instantly boosts your credibility as expert seller for items you have and increase conversion rates. I was wondering if you could give me some advice on a listing I have created. I am trying to get into selling mobile phone accessories. Please would you be able to see the listing and suggest any improvements (I know I haven’t used any templates, so that could be a starting point). I am seeing no traffic even viewing the page and need to maybe get it on the first page of searches, these are all occupied by premium sellars. I have aslo read in one of your other posts that iPhone covers etc is probably not the best thing to get into on eBay. Is this due to the competition and hence smaller margins? You have picked iPhone covers – one of the most competitive markets on eBay! And you’re not even a TRS! Thanks for the immediate feedback. I aim to move into other phone covers/accessories as well. Do you suggest formatting via a template to get the listing better? Great post, thank you for the information! I tried adding my email address to my listings and it was rejected, as under new policy listings cannot contain email addresses anymore (at least eBay USA). Did you used a graphic file or plain text link? Yes, emails are actually prohibited for many years already BUT everyone uses them, including largest shops on eBay and I haven’t heard that people get in trouble because of this. But technically it’s against eBay rules, yes so don’t take my advice for granted. How far do you recommend these listing enhancements for personal or lower level/starting out business sales? This is basic stuff so really – ANYONE should follow these principles and build good looking listings. If you’re starting out or on a low budget, you don’t necessary need a custom template – you can still use pre-made templates but make the listing look good with perfect formatting and images. Formatting is that one thing most people can’t get right, making their listings ugly. Thanks Andrew. I tend to agree. I have a real bugbear about formatting being out. Do you recommend creating a “brand” straight away to start selling initial items and having logo etc or just concentrate on making it look good first and then brand it later? depends on your skills really – if you’re good with design and everything, you can probably have your brand from day one. If not, just get basics right and start selling. You can always improve later on! I haven’t bought your product yet because I live in the US. Can a US buyer buy from a UK supplier, sell on EBay.UK and get paid in Euros all through paypal? Or can you think of something else for US sellers? I already replied to your email, so please check your inbox. EAB course works Worldwide and I have hundreds of customers in the USA. Thank you for the information, looking forward to learn more from you about how to start a personal business on ebay. You are the right person that can help me to get started on ebay. Be in touch with me please. Just now noticed your comment. As for the feedback inside listings – YES, I do recommend doing this as you never have too much trustworthy going on! BINs – 10 or 30 days – price is same and best match rules same so for business sellers, it doesn’t even make sense to use 10 day option. 10 day option is more for private sellers who sell just one item and want to have a set date when listing ends. Can you kindly share the source code for the feedback to be used with a temoplate? Thank you so much for simplified method. I have one question, I am planning on selling anything used as I dont have any expertise. After watching spicy template video they recommend that a template is a must. Where can I obtain a generic template that allows me to sell anything and its not associate with any specific industry. I bit like the dell boy approach and at the same time I want all the essentials such payment, shipping, company name. What is your take on having the feedback information on ebay BIN template? Is it better to go for 10 or 30 days BIN? My ebay ID is mettlle, we are handmade jewelry manufacturer and exporter. 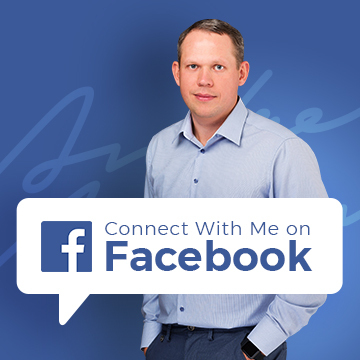 I need to confirm How can we promote our listings via Social media or where can we promote our listings in overall. does eBay allow to write our contact details over listing template(Html page) like phone number, mail-id. Thanks for your comment & question. First thing you need to do is get out of that 0 feedback situation! How? Easy! Simply purchase 10-20 cheap ($0.99) items to get those first 10-20 feedbacks as a buyer. That’s enough to start selling. Once that is done, work on your listings! You say you’re manufacturer – great, show it off in the listings! Take some pictures of your factory, stock, warehouse and have them inside listing descriptions DIRECTLY! This way people will see that you’re a real deal. Also, ideally get a custom made template done with your companies branding to even further increase credibility. Hi Andrew, I have just started to read your info and am loving it. I especially like the bit about cross promoting items I should have thought of that myself Fat Face do it all the time on their website. No, that’s perfectly fine by eBay rules. You can’t advertise your website link BUT you def. can have email address and phone number in your listings. Ideally, you want to place these in your template’s header area. Hi Andy, taking a look at your free templates on SAT, would it be possible to type in the header area? No, you can’t “type” in the header area (in HTML mode). What you can do though is download the header file and add text/logos/graphics to it using Photoshop or any other photo editing software, then re-upload header back on your own hosting account or same Photobucket, change header’s image URL in template’s code and you’ll have customized header image live in your listings. Thanks for the great info! I want to customize my header. You have a new template in SAT called General 4. I can download the whole template but where can I download (or how) just the header of it? to save header image on your computer for further edits. Perfect! Thanks Andrew for always getting back in such a timely manner. I’m trying one of your free templates and your wording for polices. Should I say something in the returns section about contacting me before or when returning and item, or just say to return it within 14 days, as you said? Please contact us prior sending back any returns so we can issue you you a RMA code (Return Merchandise Authorization code). This way you can keep track of what’s sent back + this extra step may lower your return rate a little bit as serial refunders may not want to write an e-mail. Well you know when searching on ebay and all TRS sellers have nice looking firs galary pictures atractive to eyes. With all information in first galary pic like uk seller, top rated seller, 1rst class shipping and etc. Im looking for photoshop templates or somthing like that. I personally don’t use these anymore as on eBay.com they’re already banned (text/images on gallery pictures) and it’s just a question of time when they introduce same rules to eBay UK. Andrew I have always found that your information inspiring and also re-assuring. I purchased your template package, mid last year but did not found a suitable one for selling Royal mint products. But did find the idea for making a Image boarder – template for my first (displayed) Image. This does make a first impression stand out. And YES it does need to look more professional on the inside – thanks for the above tips. Have you got a framework template – something that I can use to add: 2 colours, make a header / footer which needs a structure – like your listing templates. The premium templates in SAT will actually do this for you. But I also have plans on creating 2-3 new generic templates, which could be used for any niche. Thanks Riaz, glad I can help! Next week I will publish a 12 page long guide on how to start a profitable eBay business with as little as £50. Where to find first picture template for ebay. In first picture add uk seller, price etc. Sorry, what you mean by “first picture template for eBay”?